The South African iteration of Google’s Big Tent event, which brings together leaders in business, technology and politics to exchange ideas on the intersection between the Internet on society, took place in Midrand on Thursday. 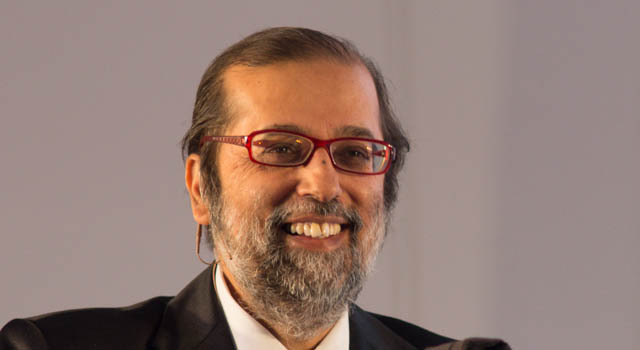 It featured communications minister Yunus Carrim and Google vice-president and chief Internet evangelist Vint Cerf, who is often referred to as one of the fathers of the Internet. The Big Tent events have run in major cities around the world since 2011. Thursday’s event was a first for sub-Saharan Africa and ran under the theme “The digital economy, fuelling jobs growth and innovation in South Africa”. All eyes were on Carrim, the keynote speaker, as he made one of his first addresses to the tech community since taking on the role of communications minister just shy of eight weeks ago following the sacking of his predecessor, Dina Pule. Pule was last month reprimanded and penalised for transgressing parliament’s ethical code and the law due to her involvement in the ICT Indaba scandal. Carrim is in a precarious position. He was recently redeployed from his post as deputy minister of co-operative governance, and there are no guarantees that he will remain in his new post after the inevitable cabinet reshuffle that will follow the 2014 elections. Yet he is tasked with overhauling a department that has largely failed to deliver on its own self-imposed targets and is seen by many to be causing long-term damage to the economy. To his credit, Carrim did not shy away from the issue during his address. “It doesn’t matter who comes in, what matters is what happens between now and April next year,” he said. His aim during this time, he said, would be to set up a reasonable framework so that whoever comes into the department can hit the ground running. Instead of the expected platitudes, Carrim layed out six priorities for the department of communications, including building a more effective department, creating a less “fragmented and fractious” ICT sector, setting realistic and realisable goals for the period until the 2014 elections, and finalising the long-awaited ICT policy review. He also specified deadlines for some of the department’s more pressing concerns. The country’s broadband policy, strategy and plan would be finalised by the end of November, its ICT policy review would be ready for public comment within the next three months. Its spectrum policy would be developed by next March. And, if all the stakeholders could be brought on board, the roll-out of digital migration — which is already two years behind schedule — should begin within the next few months. These are bold ambitions, but Carrim has committed to working with those in the sector and to reporting back to the public on a regular basis. He also urged the public to hold government to account when service delivery is lacking. “Put pressure on government. Civil society needs to be more empowered to put pressure on government. You should take to the streets as well to get us to deliver on these goals,” he said. Several speakers at the event vented their frustrations with the regulatory environment in the country, which often prevents startups from accessing seed funding or from expanding their businesses in the way they would like. Entrepreneur and Silicon Cape co-founder Justin Stanford said that regulatory laws known as exchange controls date back to the sixties and are one of the biggest challenges facing entrepreneurs. “Exchange controls is one of the biggest problems we have, it’s a regulatory law going back to the sixties. The South African regulatory environment disincentives high growth entrepreneurs to leave,” he said. African seed investor Kresten Buch agreed saying that foreign investors were reluctant to invest in South African startups because of the exchange controls, which made it difficult for investors to get their profits out of the country. In addition, “looping structures” meant that a startup couldn’t source funding from both local and foreign investors. “You cant have a foreign investor and a local investor together,” he said. In fact, the only speaker at the event who had anything good to say about the country’s regulatory framework was the Kenyan minister of information and communications, Bitange Ndemo, who only half jokingly commented that the South African regulatory framework had benefitted Kenya greatly. The coming months will tell whether these comments made an impression on Carrim. 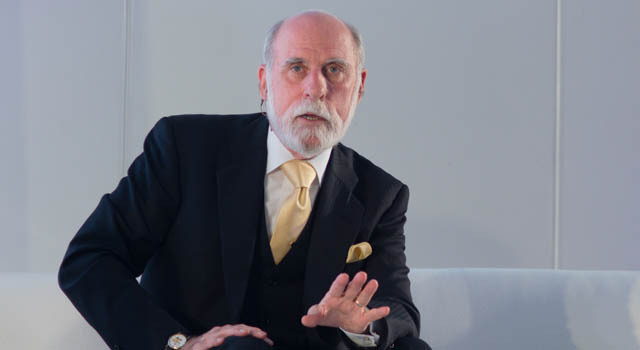 But it was Internet evangelist Vint Cerf who elicited the most frenzied tweeting and got the loudest applause — listening to Cerf, it’s not hard to understand why he is described as an “evangelist”. He is a passionate speaker for the power of the Internet and has an infectious enthusiasm for ideas that many would consider to border science-fiction. But Cerf must inhabit the world of science-fiction. He speaks anecdotally about his involvement at the dawn of the Internet; a US defence programme known as the Arpanet; the first e-mails ever sent back in 1971, and an early inkling of social networking at about the same time; email distribution lists set up for sci-fi lovers and foodies in the Stanford area. Surprisingly, when asked about what technology he is most excited about, Cerf puts spectrum — a matter that government has been struggling to deal with in any decisive way for about a decade — first on the list. “The most exciting thing is sharing of spectrum, something I believe we have not taken advantage of at all,” he said. Cerf pointed out that in urban environments, only 2% of the available spectrum is active at any given moment. “If we do spectrum sharing we can put much more application in the same spectrum band,” he said. Interestingly, Cerf said he had spoken with Carrim about the importance of spectrum sharing just that morning. Cerf also urged government to become involved in technology innovation, pointing out that if it had not been for US defence department investment in the early Arpanet, the world would not have had the Internet it has today. This investment was long term and high risk, and allowed the researchers not to fear failure. “If government had not done this funding, we probably wouldn’t have the Internet that we have today,” he said. Cerf said it was that government participate in the sector by helping to get risky research done, to the point where venture capitalists would be willing to take on the remaining risk. A question put to Cerf on the future of technology led to a poignant moment in the session. “I think what’s coming is neuroelectronics — interconnecting computer-based things with our neural systems,” he replied. Knee-jerk reactions against the idea of a neural interface with technology was dispelled when Cerf explained his reasoning and told a very personal story about the day his wife — who had lost her hearing to meningitis as a child — first had her cochlear implant turned on. With an implant, tiny wires are connected directly to the auditory nerve, and stimulates the brain, essentially tricking it into hearing sound. That day, his wife had her first telephone conversation with him. “We’ve been married for 30 years and never able to use the phone,” he said tearing up. Cerf’s enthusiasm for technology is never far from an appreciation for how it will affect real people. In between talk of Project Loon, non-synchronous satellite systems such as O3b, and mesh networks that could create ad-hoc networks between the most basic laptop computers (all technologies that would allow people in remote rural areas to get reliable access to the Internet), Cerf also spoke about his hopes for how young people will one day live in a world so cluttered with technology. In Cerf’s world, every child will learn to write software, and discover and fix bugs, before they even leave high school.